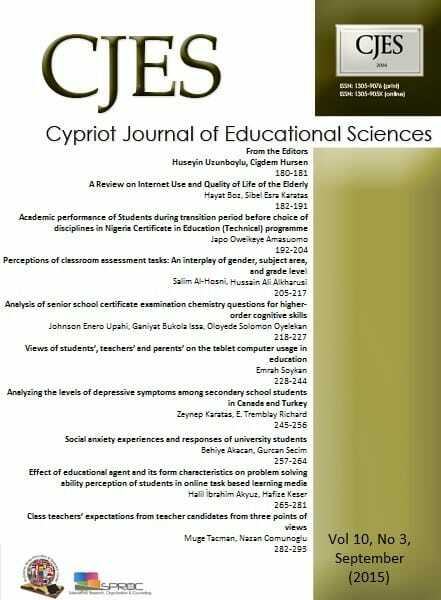 This study aims at identification of views of teachers, students and their parents at Near East College in North Cyprus on use of tablets in education. The research is a descriptive case study. In collection of data, semi-structured interviews appropriate for qualitative research methods are used. Study group for this research is composed of high educated teachers (f=64), students (f=319) and also parents (f=134). As result of the analysis carried out in this research which was performed in this direction, it has been seen that teachers, students and parents evaluate the problems related with tablet PCs under the following two sub-dimensions; the experienced problems of during tablet supported education and the benefits of tablet pc usage in education. If we look at the results in this line, we come across with connectivity and technical infrastructure problems which interrupts the lesson or even causes it to end as the biggest problem experienced by teachers and students during the learning activities. The biggest concern of parents, another of our study groups, regarding the use of tablets in education is that games may decrease students’ motivation. Teachers stated the biggest benefit provided by tablet supported education is the increase in learning speed of students as a result of visuals and interaction provided by tablets. Keywords: mobile learning, tablet pcs, tablet pc supported instruction, technology based instruction, information technology. Adalier, A. (2012). Turkish and English language teacher candidates’ perceived computer self-efficacy and attitudes toward computer, The Turkish Online Journal of Educational Technology, 11(1), 192-201. Agca R., & Ozdemir, S. (2013). Foreign language vocabulary learning with mobile technologies, Procedia - Social and Behavioral Sciences, 83, 781 – 785. 2nd World Conference on Educational Technology Researches 2012. Al-Zeidieyeen, N. J., Mei, L. L., & Fook, F. S. (2010). Teachers’ attitudes and levels of technology use in classrooms: the case of jordan schools. International Educational Studies, 3(2), 211-218. Altun, T., Yigit, N., & Adanur, Z. (2011). İlkogretim ogrencilerinin bilgisayara yonelik tutumlarinin incelenmesi: Trabzon ili ornegi. Turkish Journal of Computer and Mathematics Education, 2(3), 69-86. Amelink, C. T., & G. R. Scales. (2010). “Student learning behaviors promoted with instructional technology”, 40th ASEE/IEEE Frontiers in Education Conference, Washington, DC, October 27 – 30, 2010. Atal, D., & Usluel, Y. K. (2011). İlkogretim ogrencilerinin okul icinde ve disinda teknoloji kullanımları. Hacettepe Universitesi Egitim Fakultesi Dergisi, 41, 24-35. Ayvaci, H., Bakirci, H., & Basak, M., (2014). Fatih projesinin uygulama surecinde ortaya cıkan sorunların idareciler, ogretmenler ve ogrenciler tarafından degerlendirilmesi, YYU Egitim Fakultesi Dergisi, 11(I),20-46. Cetinkaya, L., & Keser, H. (2014).Ogretmen ve Ogrencilerin Tablet Bilgisayar Kullaniminda Yasadiklari Sorunlar ve Cozum Onerileri. Anadolu Journal of Educational Sciences. Ciftci, S., Taskaya, M. S., & Alemdar, M. (2013). Sinif ogretmenlerinin fatih projesine iliskin gorusleri. Ilkogretim Online, 12(1), 227-240. Dagtas, A. (2013). Ogretmenlerin Basılı Sayfa ve Ekrandan Okuma Tercihleri İle Egitimde Elektronik Metin Kullanımına Yonelik Gorusleri. Electronic Turkish Studies, 8(3), 137-161. Dewitt D., & Siraj, S. (2010). Learners’ perceptions of technology for design of a collaborative m-learning module. World Journal on Educational Technology, 3(2), 169-185. Dursun, O. O., Kuzu, A., Kurt, A. A., Gullupinar, F., & Gultekin, M. (2013). Okul yoneticilerinin fatih projesinin pilot uygulama surecine iliskin gorusleri. Trakya Universitesi Egitim Fakultesi Dergisi, 3(1), 100-113. Ellington, A. J., Wilson, J. H., & Nugent, J. S. (2011). Use of Tablet PCs to Enhance Instruction and Promote Group Collaboration in a Course to Prepare Future Mathematics Specialists. Mathematics and Computer Education, 45(2), 92-105. Enriquez, A. G. (2010). Enhancing student performance using tablet computers. College Teaching, 58(3), 77-84. Genc, M., & Genc, T., (2013). Ogretmenlerin mesleki gelismeleri takip etme durumları; fatih projesi ornegi. Ahi Evran Universitesi Kırsehir Egitim Fakultesi Dergisi, 14(2), 61-78. Gok, T. (2012). Real-Time Assessment of Problem-Solving of Physics Students Using Computer-Based Technology. Hacettepe University Journal of Education, 43, 210-221. Gunduz, S., Aydemir, O., & Isiklar, S. (2011). 3Gteknolojisi ile gelistirilmis m-ogrenme ortamlari hakkinda ogretim elemanlarinin gorusleri. Selcuk Universitesi Ahmet Kelesoglu Egitim Fakultesi Dergisi, 31, 101-113. Jones, J. L., & Sinclair, B. (2011). Assessment on the go: Surveying students with an iPad. Journal of Library Innovation, 2(2), 22-35. Kırali, F. N. (2013). Fatih Projesi Kapsaminda Dagitilan Tablet-PC Uygulamalari”na iliskin ogrenci gorusleri. Yuksek Lisans Tezi, Bahcesehir Universitesi, Fen Bilimleri Enstitusu Bilgi Teknolojileri, Istanbul. Kucukaydin, Z. A., Bozdogan, & Ozturk, P. (2014). Secondary School Students’ Views in a Village School about the Use of Tablet Computers in Science Course. Mevlana International Journal of Education (MIJE), 4(2), 53-59. Kurt, A. A., Kuzu, A., Dursun, O. O., Gullupinar, F., & Gultekin, M. (2013). Fatih projesinin pilot uygulama surecinin degerlendirilmesi: Ogretmen gorusleri. Journal of Instructional Technologies & Teacher Education, 1(2), 1-23. Lewin, C., & Luckin, R. (2010). Technology to support parental engagement in elementary education: Lessons learned from the UK. Computers & Education, 54(3), 749-758. Loch, B., Galligan, L., Hobohm, C., & McDonald, C. (2011). Learner-centred mathematics and statistics education using netbook tablet PCs. International Journal of Mathematical Education in Science & Technology, 42(7), 939-949. Martin, S., Diaz, G., Sancristobal, E., Gil, R., Castro, M., & Peire, J. (2011). New technology trends in education: Seven years of forecasts and convergence. Computers & Education, 57, 1893–1906. Mulholland, J. B. (2011). iPad’s strengthen education. Government Technology, 24(4), 20-24. Nie, M., Armellini, A., Witthaus, G., & Barklamb, K. (2011) How do e-book readers enhance learning opportunities for distance work-based learners?. Research in Learning Technology, 19(1), 19-38. O'Conell, T., Freed, G., & Rotheburg, M. (2010). Using Apple Technology to Support Learning for Students with Sensory and Learning Disabilities. in Apple in Education: Teachers and Administrators. Ozdamli, F., & Uzunboylu, H. (2014). M-learning adequacy and perceptions of students and teachers in secondary schools. British Journal of Educational Technology. Terras, M. M., & Ramsay, J. (2012). The five central psychological challenges facing effective mobile learning. British Journal of Educational Technology, 43, 820–832. Park, S. Y., Nam, M. W., & Cha, S. B. (2012). University students' behavioral intention touse mobile learning: Evaluating the technology acceptance model. British Journal of Educational Technology, 43(4), 592-605. Park, S.Y. (2009). An analysis of the technology acceptance model in understanding university students' behavioral ıntention to use e-learning. Educational Technology & Society, 12(3), 150–162. Phillips, P., & Loch, B. (2011). Building Lectures and Building Bridges with Socio-Economically Disadvantaged Students. Educational Technology & Society, 14(3), 240-251. Pimmer, C., Linxen, S., & Gröhbiel, U. (2012), Facebook as a learning tool? A case study on the appropriation of social network sites from mobile phones in developing countries. British Journal of Educational Technology, 43, 726–738. Price, E., & Simon, B. (2009). Ubiquitous Presenter: A Tablet PC-Based System to Support Instructors and Students. Physics Teacher, 47(9), 570-573. Romney, C. A. (2010). Tablet PCs in undergraduate mathematics. 40th ASEE/IEEE Frontiers in Education, Washington, DC. Rosenfield M. (2011). Computer vision syndrome: a review of ocular causes and potential treatments. Ophthalmic & Physiological Optics, 31(5), 502–515. Saran, M., Seferoglu, G., & Cagiltay, K. (2009). Mobile assisted language learning: English pronunciation at learners’ fingertips. Eurasian Journal of Educational Research, 34, 97-114. Shurtz, S., Halling, T. D., & McKay, B. (2011). Assessing user preferences to circulate iPads in an Academic Medical Library. Journal of Electronic Resources in Medical Libraries, 8(4), 311-324. Stickel, M. M. (2009). Impact of lecturing with the tablet PC on students of different learning styles. 39th ASEE/IEEE Frontiers in Education Conference, San Antonio, TX. Sad, S. N., & Goktas, O. (2014), Preservice teachers' perceptions about using mobile phones and laptops in education as mobile learning tools. 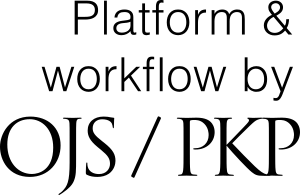 British Journal of Educational Technology, 45, 606–618. Tariman, B. (2011). Sosyal Bilgiler Egitiminde Sosyal Bilgiler Laboratuarlarinin Yeri ve Onemi, (Ed. R. Turan, A.M. Sunbul & H. Akdag), Sosyal Bilgiler Ogretiminde Yeni Yaklasimlar II. Ankara: Pegem A Yayincilik. Tsai, C. Y., Wang, C. C., & Lu, M. T. (2011). Using the technology acceptance model to analyze ease of use of a mobile communication system. Social Behavior and Personality, 39(1), 65-70. Vavoula, G., Sharples, M., Rudman, P., Meek, J., & Lonsdale, P. (2009). Myartspace: Design and evaulation of support for learning with multimedia phones between classrooms and museums. Computers & Education, 53, 286–299. Fadare, O. G., Aladeselu, V. A., Ekuobase, G., Aboderin, O. S., & Kumuyi, G. J. (2013). Adoption of mobile learning among 3G-enabled handheld users using extended technology acceptance model. World Journal on Educational Technology, 5(3), 420-430. Yadigaroglu, M. (2014). Kimya ogretmenlerinin teknolojik pedagojik alan bilgisi modeline yonelik bilgi ve becerilerinin gelistirilmesi amaciyla bir hizmet ici egitim kurs programıi duzenlenmesi ve etkililiginin arastirilmasi. Yayimlanmamiş doktora tezi, Karadeniz Teknik Universitesi, Egitim Bilimleri Enstitusu, Trabzon.